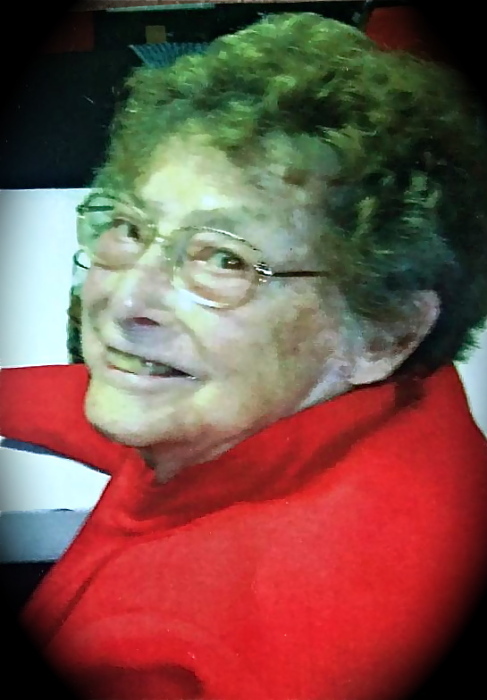 It is with great heartache that we announce the passing of Margarete Funfer of Blairmore, Alberta who was called into the arms our Lord on November 19, 2018 while receiving compassionate comfort and care at the Crowsnest Pass Hospital. She graced this world with 94 years of life. Margarete was born on March 1, 1924 in Nurnberg, Germany to parents, George and Rosina Meixner. In her younger years, Margarete loved gardening, painting, knitting, baking and her computer, but her greatest love was for her family. She was blessed with seven devoted children whom she cherished and her joy and her legacy was complete with the coming of her grandchildren and great grandchildren. Margarete always made time for her family and friends even into the late hours of the morning. Laughter rang throughout the house from her unique sense of humour. She will always be remembered for her incredible resolve, feisty character, hard work ethic, dedication to her family and the unconditional love she gave to all. Although gone from our eyes, she will remain forever in our hearts. She is survived by her children, Peter (Sandra) Schack, Erwin Schack and Monika (Ron) Buxton; her grandchildren, Mayrienne (Mike), Michelle (Steve), Lisa, Chris, Mike (Dodie), Jason, Jordan, Jarred and Joshua; her great grandchildren, Dylan (Readeane), Maggie, Roy, Sadie and Zeon; her children by marriage to John Funfer: Kathy, Jack and Marilyn and all of John’s siblings, and special niece, Judy, and her brothers. She also leaves her niece Hannelore of Germany along with her extended family; and her special Blairmore friends including Dr. Botha, Teresa, Pat Marnie (Remi), Salim and Tony. She was predeceased by her husband, John Funfer (2005); her first husband, Erwin Schack (1980); her sister, Rosa Mitchell; her step-daughter, Helen; and her good friend, Shanaz. A Family Graveside Ceremony will be held in the spring of 2019. Donations in memory of the late Margarete Funfer may be directed to the York Creek Lodge Residents’ Association (P. O. Box 1050, Blairmore, AB T0K 0E0). Condolences may be registered at www.fantinsfuneralchapel.ca. It is of great comfort to know that in spite of her advanced age and failing health, Margarete had a lot of friends and cut a wide path. We offer special thanks to Dr. Botha and the local hospital, homecare (Erin, Mary Lou and their whole crew), the York Creek Lodge, and the town of Blairmore. Fantin's Funeral Chapel entrusted with arrangements. (403) 562-8555.